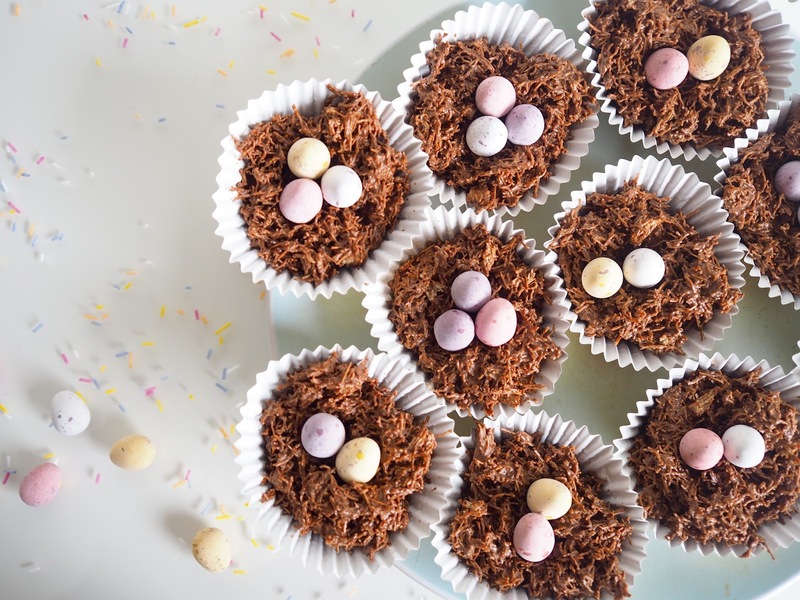 Easter seems to be creeping up on us pretty quickly this year, so I thought I'd get in the spirit and post a few of my favourite Easter recipes on here. 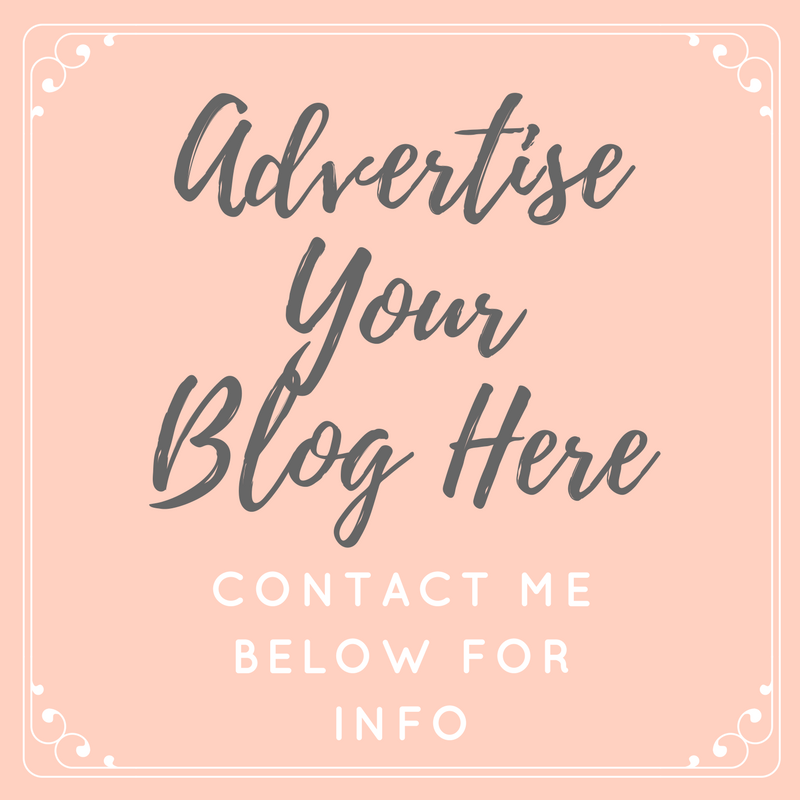 I'm not an expert baker by any means, so all of the recipes I will be posting are all very easy to follow, but all super tasty too! 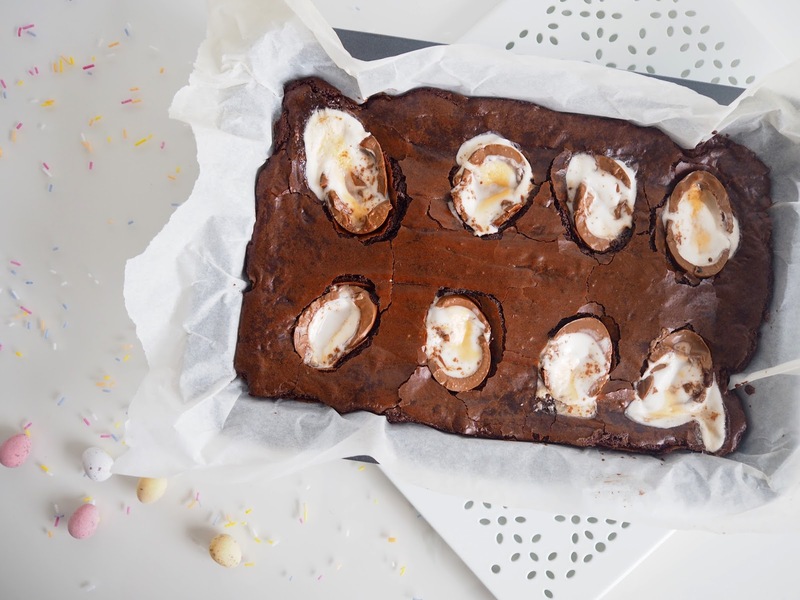 I know you're supposed to save the best until last, but I'm starting with my favourite and probably the naughtiest of them all, the Creme Eggs brownies. I very rarely make brownies, despite them being my absolute favourite, but this is only because I can literally eat them all to myself. They're just so indulgent and delicious, it's really hard not to get carried away - but Easter gives us all the perfect excuse to tuck in. 11. 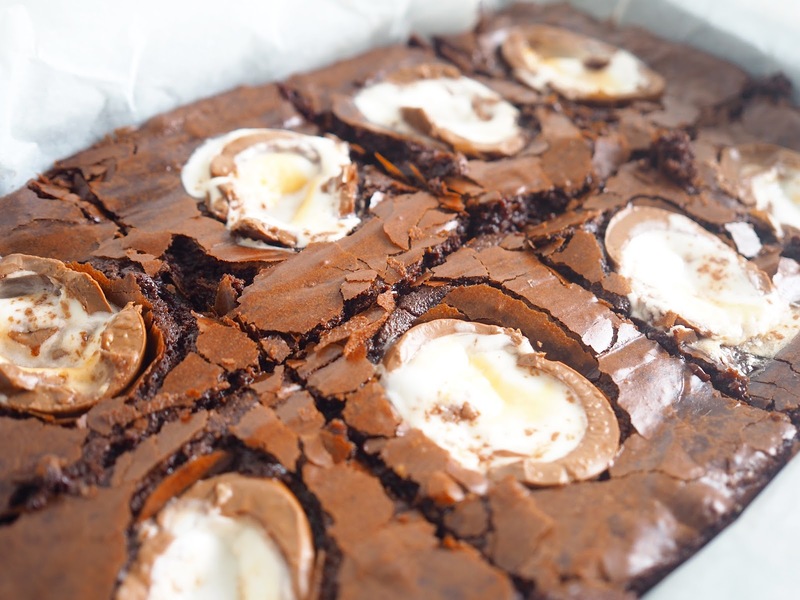 Remove from oven when Creme Eggs have melted and the brownie is crispy yet still slightly gooey. 12. Leave to cool and then cut up and enjoy! 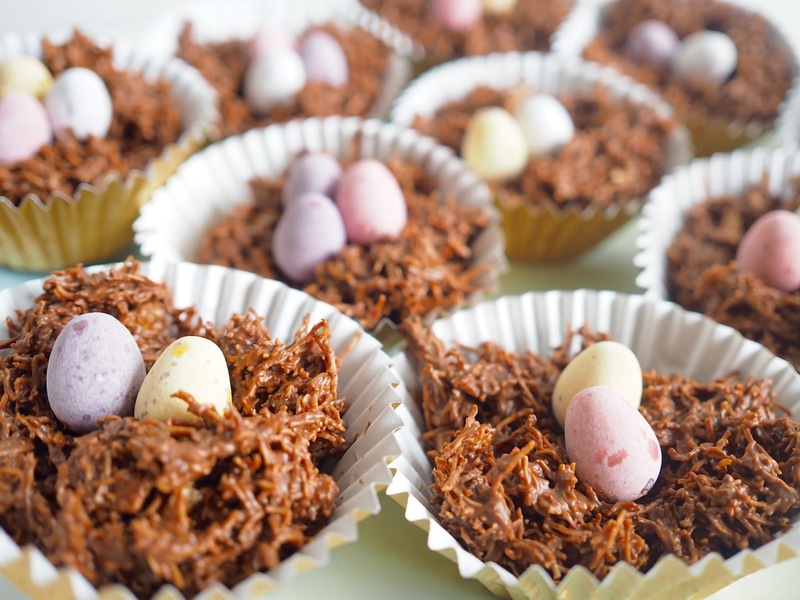 One bake that I never miss out at Easter time is chocolate nests. This is the perfect recipe to make with children... Elodie loves helping mix and of course licking the bowl afterwards. It's so quick and simple to do, but they're so yummy. 1. Break up the Shredded Wheat in a large mixing bowl. I use the back of a wooden spoon to do this. 6. Leave to cool and set before eating. 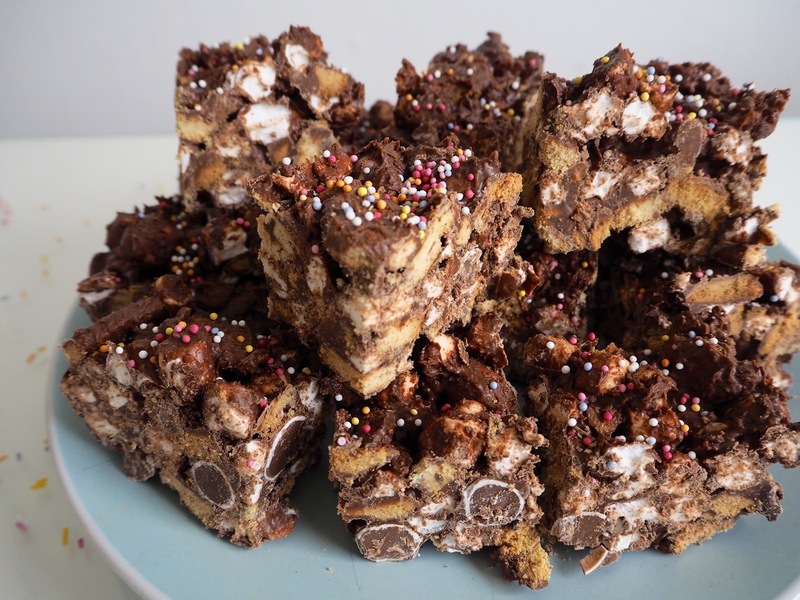 A recipe I've developed from one of my personal favourites and made slightly more easter themed with the addition of Mini Eggs is the Mini Egg Rocky Road. So indulgent, so naughty, but again the ideal quick Easter bake... In fact, you don't even have to bake these! 5. Leave to set in the fridge before cutting and eating. 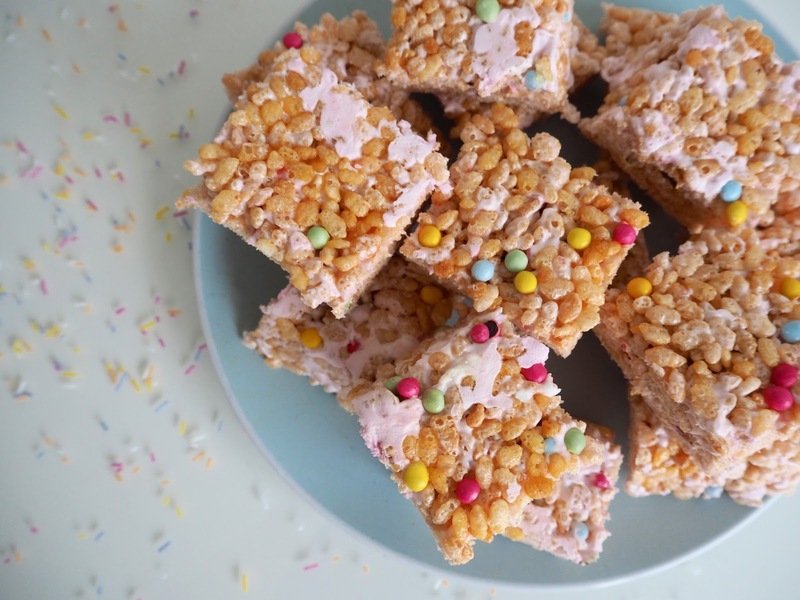 And last but definitely not least is another no-bake, one that I have loved for years and years and just can't help but become addicted to every time I make them; Easter Rice Krispie Treats. Now I know they're not really Easter themed, but any excuse to make these is a good enough reason for me! And there we have it, my four favourite Easter recipes... Let me know if you'll be recreating any of these, I would love to see your pictures! Tor. This post is perfect. However, I literally now feel the need to go to the shop and buy all the ingredients and make and then eat THEM ALL!